The Building Owners and Managers Association (BOMA) is an international standard used to certify leaseable/rentable area. Webb Surveys provides real estate professionals with valuable information about, and interpretation of the BOMA International Floor Area Measurement Standards. Many of the development projects we are involved in are initiated in the conceptual stage. We are engaged either by the owner or design professionals to complete a topographic survey to identify surface drainage, utility locations and any other feature that may impact site design. Webb Surveys completes a detailed analysis for every project, including title research to verify easements and other interests regarded against the subject parcel. 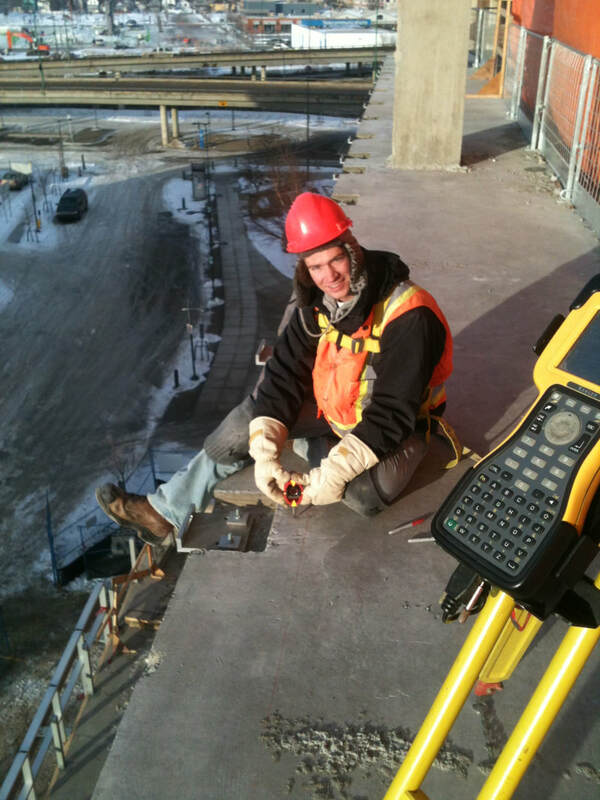 Commissioned Land Surveyors in Saskatchewan are entrusted under Provincial statute to define limits of ownership by assessment and evaluation of survey evidence in the preparation of legal plans and documents. This process forms the daily responsibilities of our team to ensure our clients' rights and those of their respective neighbours are maintained during the engagement. Construction Surveys establish the layout of buildings and improvements to known points of reference such as property boundaries or control points. This may consist of construction control pins, grid lines,, elevation bench marks and piling layouts. Webb Surveys is an expert in residential construction, providing service to a significant number of home builders in the Saskatoon and surrounding area. This has become a pinnacle part of our business and we are proud to be members of the Saskatoon & Region Home Builders Association. Under most circumstances we can offer title creation after the survey plan is registered. We employ a Notary Public and Commissioner for Oaths to facilitate title set-ups and transfers of ownership. In today's world of rigid legal processes it is a natural fit for Webb Surveys to evolve into land development consulting. When a client approaches us with an idea, but is unsure how to proceed, our development team has the knowledge and expertise to make it a reality. From farm homestead sites to large multi-phased land developments, we pay attention to every detail from design to plan registration.